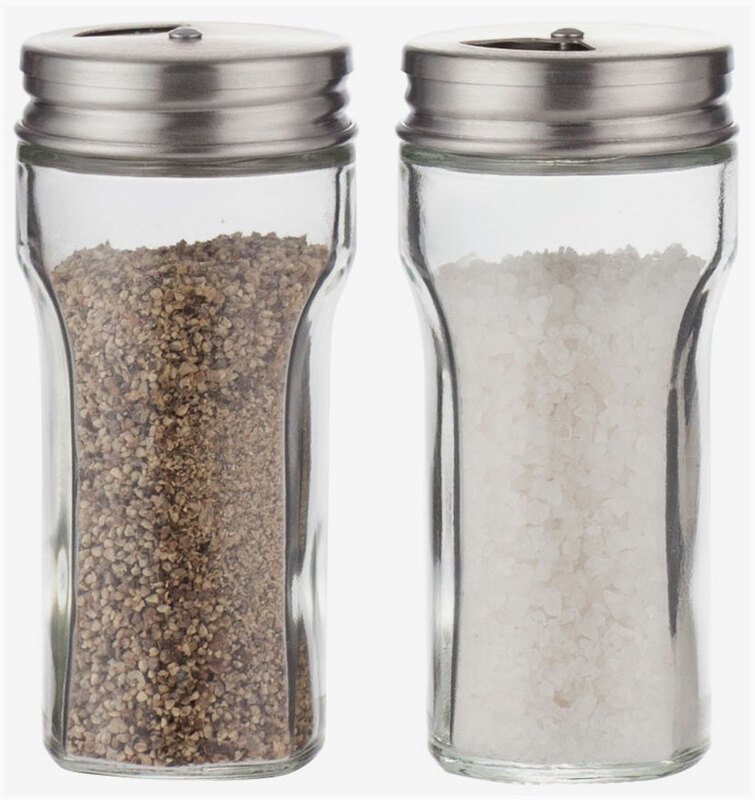 Our popular Liberty spice jars have a new and simple S/S lid. Turn the top to choose an opening. The handy carrying rack keeps 6 bottles wherever you need them. A simple twist on a popular style. S/S lid has your choice of openings. 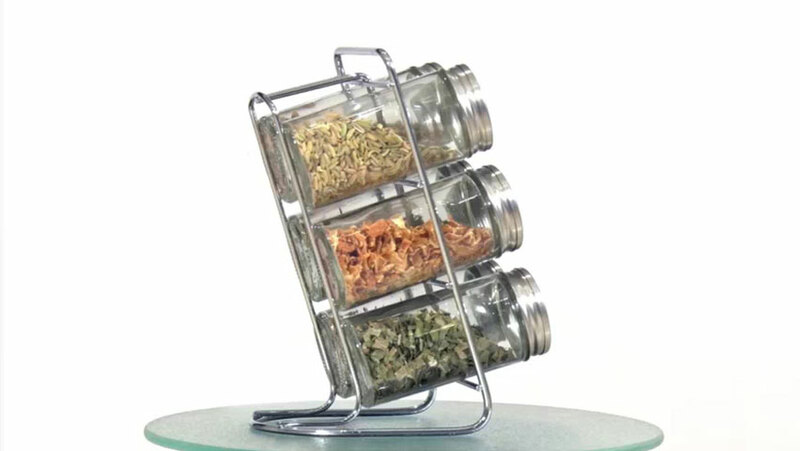 Spice rack holds 6 of your favorite spices.